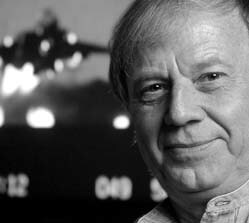 Wolfgang Petersen (born 14 March 1941) is a German movie director and screenwriter. His work includes The NeverEnding Story, Enemy Mine, Outbreak, In the Line of Fire, Air Force One, Das Boot, The Perfect Storm, Troy, and Poseidon. Petersen was born in Emden, Lower Saxony, Germany on 14 March 1941. He is currently working on a live-action adaptation of the 2006 anime movie Paprika. This page was last changed on 20 July 2017, at 14:37.